What’s bright, fresh, smells of summer and heals the driest, most sensitive skin in a flash? Calendula salve. A vintage skincare remedy that’s so powerful, it’s being repurposed by everyone from Korres and Kiehl’s to Jurlique and Farmacie. Calendula is a variety of marigold that is excellent for the skin. That’s because these small, bright yellow blooms are rich in a variety of organic compounds that are antioxidant, anti-inflammatory, antibacterial, boost collagen production and increase blood flow to the skin cells. Calendula extract helps bust the signs of premature ageing, like age spots and wrinkles, fades scars, and restores skin’s suppleness. It also helps clear up acne by mopping up zit-causing bacteria. Its anti-fungal and anti-inflammatory properties make it perfect for healing fungal infections and soothing contact dermatitis. Then there are calendula’s deep healing and regenerative powers, making it a treat for dry, sensitive or chapped skin (think hands, feet and lips especially), restoring its softness, hydration and elasticity for a lit-from-within glow. It’s also medicinal, being called upon for minor cuts, burns, bruises, wounds, insect bites, rashes and other skin problems. As for eczema, there couldn’t be a better solution than a salve that helps heal the skin, soothes itchiness, reduces topical pain and inflammation, and minimises scarring (from scratching). Right? And I can’t think of a better way to harness this gorgeous little plant’s benefits then with a bit of calendula salve, which you can make right at home for maximum potency and minimum chemicals. Not only will calendula salve keep your skin soft, smooth and healthy, it also makes for the perfect gift – like a ray of pure sunshine that brightens up the gloomiest of days! 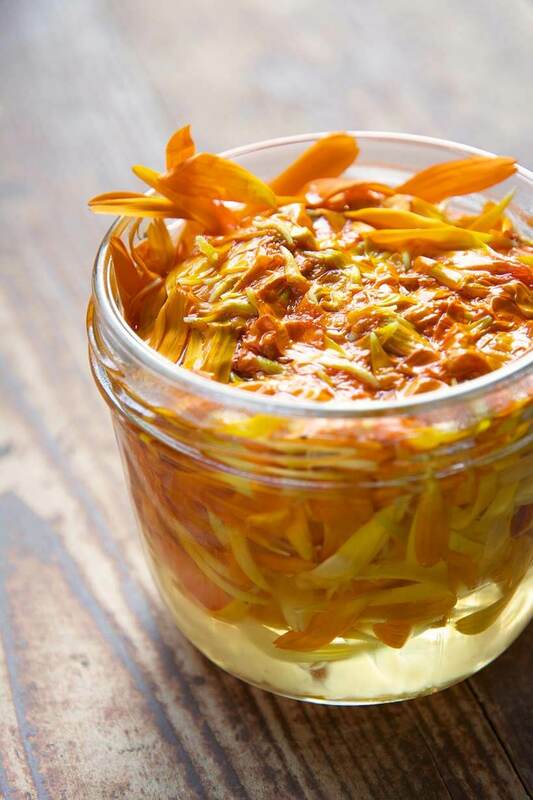 Have ever tried a calendula salve? Or any other calendula-based skincare product?